← WE NEVER OUTGROW THE GOSPEL! How much have you been forgiven? Perhaps you’re not sure? Well, as He sat at dinner with Simon the Pharisee, Jesus provided the formula for answering that question. Jesus told this short parable just after a woman who had lived a sinful life entered Simon’s home and washed Jesus’ feet with her tears and then anointed His feet with perfume. Both Simon and the woman were great sinners in need of an even greater Savior, but the woman understood the depths of her sin and just how much she had been forgiven by Jesus. Her recognition of her own condition showed in her love for her Savior. Simon, on the other hand, was too proud to see his own sin and his love for Jesus was virtually non-existent. Your love for Jesus will reflect how much you realize you have been forgiven! Why did Simon the Pharisee show so little love to Jesus when He arrived at his home? The enormous plank lodged in both of his eyes blinded him from seeing just how sinful he truly was. Why did the sinful woman show Jesus so much love when she arrived at Simon’s home, uninvited and unwanted? It was because she knew just how sinful she was and how much forgiveness Jesus had poured into her life. The key to growing our affection for Jesus is to never lose sight of how forgiven we are, both in our days “before Christ,” and right now . . . at this very moment! 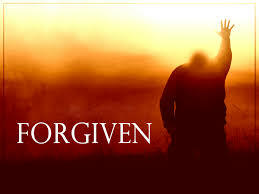 We are in constant need of God’s forgiveness, because we sin in thought, word, deed, and desire on a daily basis. Only to the extent that we keep that Gospel truth in view will our love for Jesus flow out of us to Him and to others. So . . . how much do you believe you have you been forgiven? The answer will always be found in how much you love your Savior. When we keep the fact that Jesus laid down His life for us, poured out His blood, and died on a cruel cross for our sins—past, present, and future—then our hearts will beat with love for Jesus. When you and I, like the apostle Paul, see ourselves as we truly are—the worst of sinners (1 Timothy 1:15)—we will not withhold our love like Simon did. Instead, we will show our love for Jesus, regardless of the cost or the company, just like the sinful woman. She loved much because she knew she was much forgiven. How about you?